Hughes Enterprises can help to keep you and your workers SAFE, no matter what the workforce environment may be. Hughes Enterprises and 3MTM can outfit your workforce with respirators to hearing protection to eye protection to protective apparel. Hughes Enterprises can also make expert recommendations regarding appropriate safety supplies, equipment, and models. 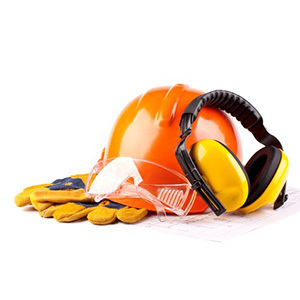 Hughes Enterprises offers the best of the best in safety products from safety glasses, ear plugs and safety vests to hearing protection, reflective tape and safety harnesses. Here at Hughes, we share your goal of keeping people safe. Working with 3M safety, We’ve develop our personal protective equipment (PPE) based on years of industry experience and a extensive knowledge of industry standards.